The last week in May 2009, Zach was not sleeping or eating well. This went on for a few days before several people noticed his stomach was kind of bulging out more than usual. Zach's mom Jennifer decided to take Zach to the doctor on Monday morning - June 1st, 2009 - to have him checked out. In her mind, he just had an upset stomach or a minor ear infection, as he commonly had. Zach's local pediatrician in Wichita Falls felt they needed to do some x-rays. The x-rays came back showing something unusual. He ordered a CT scan and the results showed a mass. Jennifer was given the news that it was serious. There was a six inch tumor in Zack's stomach area. The doctor was 80 percent sure it was cancerous. The doctor prayed with Jennifer in his office and assured her he was sending them to the best care and doctors. Zach's parents spent the rest of the day doing tests and processing the news they had just been given, while their pediatrician began connecting with oncology specialists and setting up appointments. 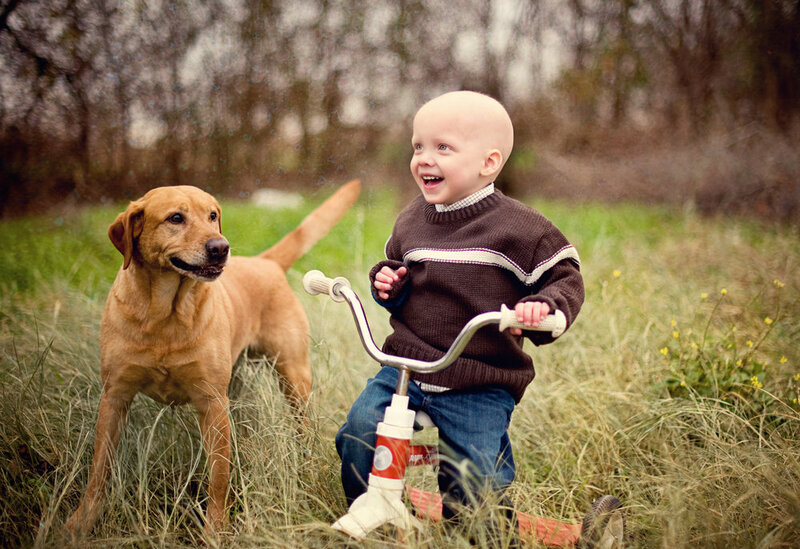 We had surgery June 3rd to confirm the diagnosis, and on June 9th, we received all the test results back: Zach had Stage 4, Group 4, High Risk Embryonal Rhabdomyosarcoma. Zach was signed up for a COG clinical trial and received 45 weeks of chemo and 6 weeks of radiation. Zach has been cancer-free since May 2011!